Dieters on a low carb diet can choose from a large variety of main dishes, salads, soups, snacks, and desserts. The most important rule to follow is to combine foods that are rich in protein, fat, and fiber and to limit the consumption of foods high in carbohydrate. The main meals you can have usually combine a protein source and vegetables, except for starchy vegetables. There are plenty of mains to try while on a low carb diet. Some are very low in carbohydrates such as chicken with mushrooms, salmon fillets, and spinach stuffed chicken breast. Many of the traditional dishes are not a good choice, but you can adapt them to fit into your diet. You can make a variety of side dishes to supplement your dinner or lunch. For example, you can make oyster crackers, sautéed spinach, grilled green beans, or cauliflower mash. Use only low carbohydrate vegetables for your side dishes. You can choose from celery, okra, asparagus, hearty greens, and greens. The same goes for salads – opt for vegetables and other ingredients that are low in carbohydrate. You can have a vegetarian style salad or a combination of meat, cheese, and vegetables. There are many delicious salads to try, including antipasto spinach salad, onion salad, or green bean and tomato salad. You can have your salad plain or with a low carb salad dressing. 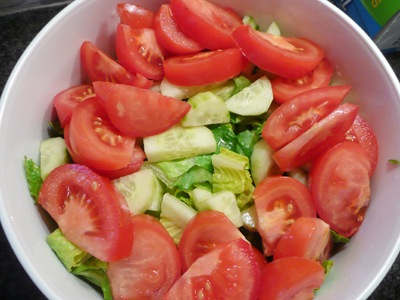 One option is to add vinegar and olive oil to your salad or you can make or buy different dressings. Dressings you can buy include low carb ranch dressing, reduced sugar ketchup, and low carb Alfredo sauce. If you prefer to have a homemade salad dressing, you will find it very easy to make one. Combining grated cheese, butter, and cream, for example, makes a delicious cheese sauce. Breakfast is an important part of every low carb diet. Dieters have plenty of choice, regardless of which diet they choose. Healthy breakfast options include bacon and eggs, yogurt with seeds or fruits, and scrambled eggs with vegetables. Avoid breads, cereals, and other foods that are rich in carbohydrate. One way to prepare a breakfast is to have a meal that is lunch-like. Here you have plenty of options to choose from, including spinach quince, marinated chicken breasts, and breakfast meatballs. Cheese blintz is also a great breakfast option as it is high in protein and low in carbs. Some diets recommend regular snacking (3 main meals and 2 snacks a day). Popular snacks include cheese and turkey roll-ups, cottage cheese with berries, Caprese salad, and kale chips. In addition to snacks you can make at home, you can buy ready-made snack foods. These include salads with leafy greens and low carb dressings, cheese snacks, and bars. There are delivery services as well, and they offer healthy snacks, along with 3 main meals. Dieters can choose from a variety of snack options such as almond cookies, parmesan cheese chips, and chili nacho protein chips. Delivery services offer dining convenience and chef prepared meals. Finally, dieters can choose from a large selection of desserts to complement their meals. Similar to low carb dishes, dieters should use flour and sugar substitutes (artificial sweeteners) and low carb ingredients. Some popular desserts to make include chocolate mousse, lemon cheesecake, strawberry shortcake, and others. You can also make peanut butter cups, lemon bars, or low carb versions of your favorite sweet treats. Some options include cakes, brownies, cookies, and other desserts. If you love fruits, you can have blueberry or strawberry. There are many delicious recipes for your breakfast, dinner, lunch, and even for special occasions. Whether you stick to low carb recipes or make traditional recipes low carb-friendly, you have plenty of dishes to try and enjoy a different meal every day of the week.